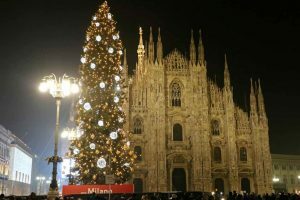 Christmas is almost upon us and Milan has been decorated with lights, Christmas trees and markets. The city is full of events organized in anticipation of the Christmas holidays to take a break between the purchase of a gift and another. Below we will give you some suggestions on things to do in Milan during the weekend a few steps from Piazza Duomo and the majestic tree that was set up for the occasion. The exhibition of the American artist Bill Viola continues at the Crypt of San Sepolcro with his video installations. His works, video footage or multimedia video installations focusing on the allegorical representation of life cycles (day and night, birth and death, etc. ), converge different influences, from music to philosophy, to images taken from the mass media that transfigures in sequences of strong emotional impact, full of metaphorical meanings and often of critical accent. If you are in Milan, do not miss this exhibition! Thanks to the Milan City Pass, you can get 10% discount on the admission ticket, click here and find out more. After the Christmas tree is lit, in Piazza Duomo the traditional Christmas market also arrives with 64 stalls, which will make available to the public artisan products from Italy and the rest of the world. Until 6 January, in addition to the illuminations and various initiatives, the gazebo of the Christmas market next to the Duomo of Milan will be accompanied by the music of the pipers. 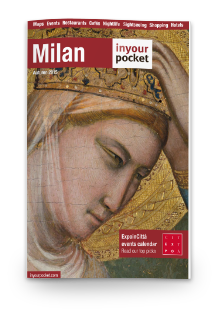 Thanks to MilanoCard, do not miss the MilanCard + Duomo Ticket promotion and save on your ticket, click here. From Piazza Duomo there are buses, trams and metro lines that connect the city. Get free public transport in Milan with MilanoCard, click here and find out how! On the occasion of Expo 2015, the catwalk above the roofs of the Galleria Vittorio Emanuele II opens to the public Highline Galleria. This year, the Highline Galleria hosts the event “Aperitif in the vineyard on the roofs”. An unforgettable tasting in the first vineyard built on the roof of the Gallery and overlooking the Duomo of Milan. Come and discover the first vineyard with a wine shop on the roofs of Milan. Immerse yourself in the green, enjoy a fine selection of wines and excellent finger food. Relax thanks to the background music spread among the rows. There is also a heated terrace to guarantee you the best experience! Click here and book your aperitif.